‘It’s a show that celebrates difference’ says Sam Newton, the recent drama school graduate playing Alternate Christopher in the upcoming tour of The Curious Incident of the Dog in the Night Time. ‘I’m really lucky because it can be recommended to anyone, absolutely anyone will find something in any of the characters, something in the story that they connect with.’ I nodded along in agreement, ferociously trying to curb my super fan excitement and act professional. On a wintery day in December, I was kindly invited to join Theatre Royal Plymouth on a press day for the 2017 tour of The Curious Incident of the Dog in the Night Time. The National Theatre had created a jam packed day full of insights and exclusives and I was allowed to join the fun, ha! As I entered the foyer earlier that day, I recited my well practised mantra, “Be cool, be cool, be cool”, as I was about to embark on a very special day. For those new to the Curious world, let me assist with a brief summary of the show. 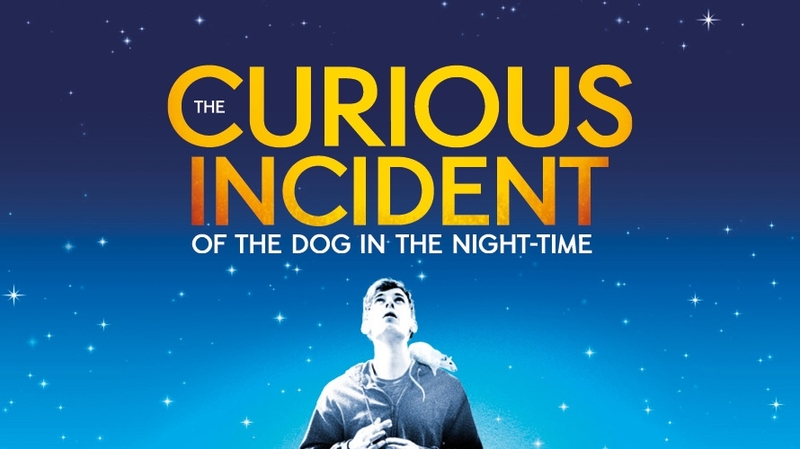 The Curious Incident of the Dog in the Night Time is an award winning adaptation of Mark Haddon’s best selling novel and tells the story of Christopher Boone, a fifteen year old boy with an extraordinary brain. Although Christopher has an exceptional mind for maths, he is ill equipped for social interactions and never ventures far from the end of his road. However, when Christopher investigates the murder of Mrs Shears’ dog, he ends up on a journey that changes his world. Having said this, the show is ultimately about ‘kindness and bravery’, an apt summary from playwright Simon Stephens who spoke to press members at the start of the day. Stephens kindly told us about his experience with the show and his hopes for the upcoming tour. It was an insightful discussion and a pleasure to listen to some ridiculously clever people but we were soon moved to the rehearsal room where the magic happens. The lovely cast and crew from the touring production warmly welcomed us and even let us pick their brains about their experience so far. I was the lucky girl who had a chat with cast members David Michaels and Sam Newton. In between chats, the team gave us a few previews from rehearsals, including a sequence where Christopher flies through space. Magical scenes like these are brought to life with the help of Frantic Assembly, an iconic physical theatre company whom both David and Sam are thrilled to be working with. ’Fantastic! Absolutely fantastic!’ Sam says, ‘I’ve always loved the company and to get to work with them is unbelievable.’ David agreed saying that working with Frantic Assembly was ‘really exciting’. Although, he also admitted that they work you really hard, so much so that the morning warm ups had become super sweaty, ’Jess who came in today for Delphine said she was going to take it easy and we were sweating more than we ever have done before. It felt like we were doing it in a sauna.’ Rather you than me David, rather you than me. We finished off the interviews by discussing the real stars of the show, the cast members who put the ultimate cherry on the cake, the most adorable characters you could ever imagine, the puppies! Oh yeah, you heard me right! Thankfully the cast shared my fangirl excitement as Sam Newton said, ‘Oh, I’ve already harangued my mum to maybe adopt it! If it’s a possibility then I’m straight in there!’. As I finished the day sat in the Gielgud Theatre, watching the West End company perform for the third time (yeah, I’m a bit of fan), it was genuinely a pleasure to see so many people fall in love with the show. It takes a really good production to be well received but it takes a spectacular show to be an international success year after year. Although the Tony and Olivier awards add to its acclaim, the real proof of its success can be read on every single person involved with the show. I didn’t see one face that wasn’t beaming with pride. Not just happiness or excitement but true pride to be involved in a show that will stand the test of time. Sam Newton said, ‘I feel so privileged to be here. I’m just trying to absolutely throw myself into it and learn as much as possible.’ When so many people are genuinely thrilled to be part of a show, it’s important to sit up and take notice. If I’ve learnt anything from today it’s that people are at the heart of this production and that’s what makes The Curious Incident of the Dog in the Night Time special. The 2017 UK tour of The Curious Incident of the Dog in the Night Time comes to Theatre Royal Plymouth 26 June – 1 July. Check out curiousonstage.com for more details.